We hope you packed your bags, because it’s time to head to Stygia! 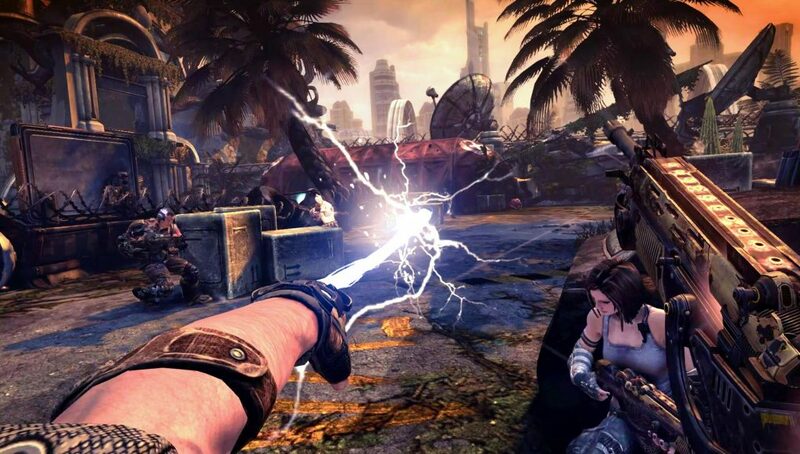 Developer People Can Fly and publisher Gearbox Publishing are pleased to announce that Bulletstorm: Full Clip Edition launches today on PlayStation®4, Xbox One, and Windows PC. Whether you’re new to the Bulletstorm universe or you’re a die-hard fan of the franchise, there are new experiences awaiting you. This is the definitive edition of Bulletstorm, with all the content from the original game, including the DLC, along with all-new material. Featuring updated hi-res textures, increased polygon counts, upgraded audio, smoother framerates, and running in up to 4K resolution on PC and PS4™ Pro, this is the best that Bulletstorm has ever looked or sounded. At the helm of Bulletstorm: Full Clip Edition is the development team behind the first Bulletstorm game, People Can Fly. 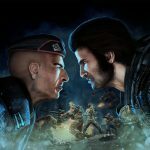 Located in Warsaw, Poland, People Can Fly created the Bulletstorm universe in 2011, and they’re now ready to introduce one of gaming’s most unique shooters to a new generation. Fans who are excited to support game developers like People Can Fly and the future of this franchise will be pleased to know that People Can Fly will be receiving 100% of the revenue from the first 100,000 copies purchased by gamers before the publisher, Gearbox Publishing, receives any revenue. Furthermore, the actual majority of all revenue generated by this release is going to People Can Fly. 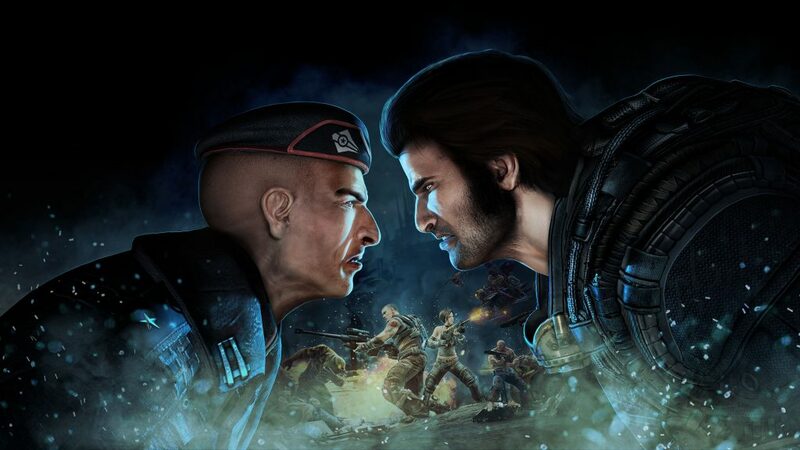 Bulletstorm: Full Clip Edition is the path for People Can Fly to gauge the future of the Bulletstorm brand in the current gaming landscape, and determine the future of the franchise for a Bulletstorm 2. 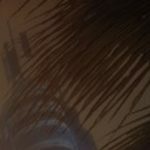 Bulletstorm: Full Clip Edition is the ultimate Bulletstorm experience! Players will have access to all previously-released content, including the Gun Sonata and Blood Symphony add-on packs, along with never before seen additions! Fire up your favorite weapon and blast your way through Overkill mode, a New Game+ with every weapon unlocked from the start that’s available once you’ve finished the campaign once. Like showing off your Skillshot prowess? Test your skills on the game’s score-based Echo Map mode. You’ll have access to all the previous maps – including the DLC maps – and new Echo maps exclusive to Full Clip Edition! And last, but certainly not least, is the addition of a certain iconic FPS action hero to the world of Stygia. Do you like larger-than-life heroes, hilarious one-liners, and a NSFW vocabulary? Then you’ll love Duke Nukem’s Bulletstorm Tour! Available for $5, this add-on content allows you to swap Bulletstorm hero Grayson Hunt for Duke Nukem, and play through the entire campaign as the King himself. While the Duke Nukem’s Bulletstorm Tour content will be available at launch for those who want to purchase it, we’re continuing to do work on the content. Once the team finished work on the main game, we turned our sights to this new content and began an effort to add a higher level of polish to the presentation in areas like the voice over sync quality. Check out the before-and-after video below to see our progress! Bulletstorm: Full Clip Edition is a truly unique experience, and we’re excited to introduce this cult classic into the new gaming climate. With over 130 Skillshots, a slew of content and seemingly infinite ways to kill your enemies in hilarious fashion, Bulletstorm: Full Clip Edition is truly a game like no other. So get to Stygia, get familiar with weapons like the Screamer, the Penetrator, and the Boneduster, and prove that you’ve got the skills and ingenuity to be among the best in the world!